Here I was, trying to have dinner with my friends and these unruly women had abandoned our conversation to wonder about the handsome stranger sitting across from us. Then next thing I know, we’re all chatting together about the awesomeness of the plantain pie and they were lost in the sauce. Naturally, I had to figure out a way to interview the man to understand what Yoruba demon spell he was casting all over the place. A few weeks later, I was sitting with Sope Dirisu at the National Theatre, with my investigative journalism hat on, trying to decipher his demon ways. The 26-year-old actor has been busy. He’s been piling up his TV credits and so far, to name a few, he’s appeared in period drama The Mill, thriller Undercover and sci-fi Humans – in which he plays a freed slave, a murdered activist and a sentient robot respectively. Then, there’s the short film The Dead Sea where he embodies the harrowing reality of seeking a better life as a refugee. 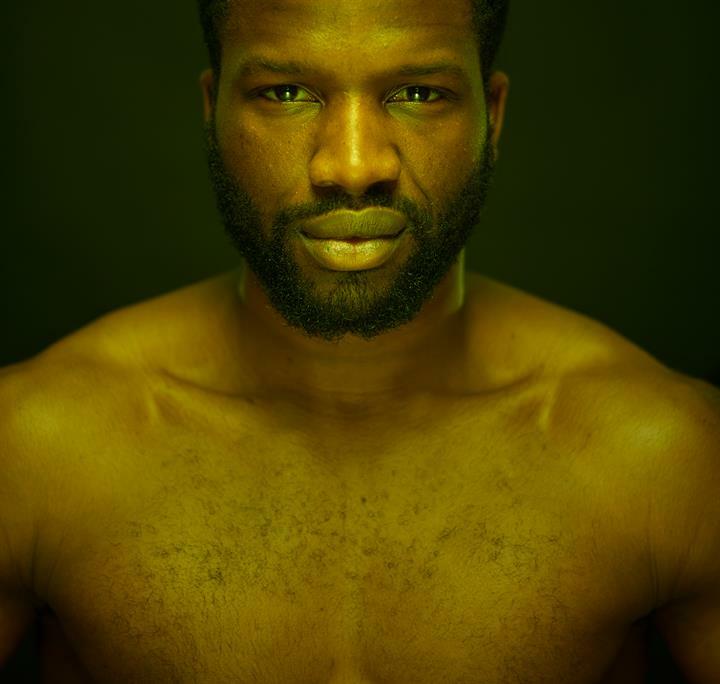 Of course, there’s also the stage stuff: he killed it as Muhammad Ali in One Night in Miami and is set to play the lead role in an upcoming production of Shakespeare’s Coriolanus. Clearly, the man stays working, and the industry is taking notice. The Screen Nation Awards – sometimes known as ‘the black BAFTAs’ – recognised him in their Rising Star category this year, alongside actress Simona Brown. So what happens when a rising star has a beer and you ask him a few questions? Well, you learn a few things. The topic of his budding film idea? Nigeria’s centre of excellence. Not only is he a self-confessed fan of the Lagos hustle, not least because he was won over by ‘the wonderful thing that is Uber’, but he plans to visit later this year – he was last there in December for his cousin’s wedding. Seeing as Naija weddings are the ultimate faaji fest, this love affair with Lagos makes plenty sense. Turn up aside, he’s also just a big fan of travelling. In fact, being able to travel to different locations is one of his favourite things about working on TV shows. 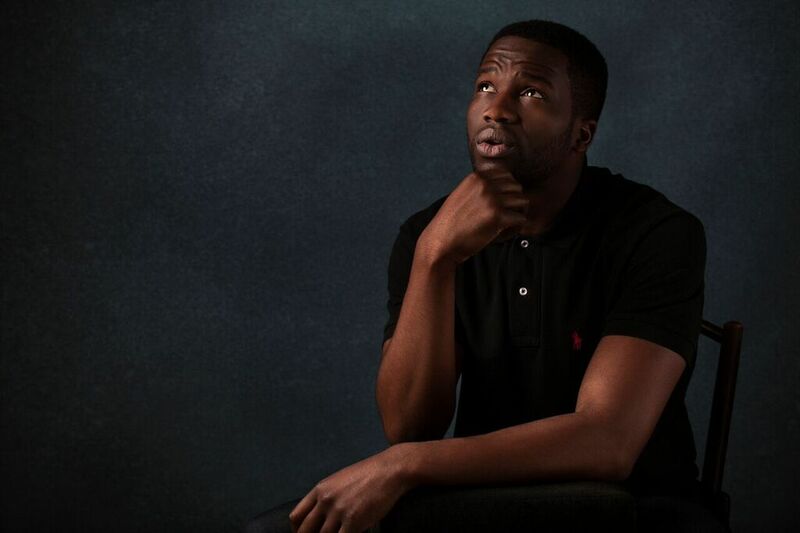 Sope’s ode to Lagos is very much on his mind but, in the meantime, you’ll still be seeing a lot of him on stage and screen. For someone who was always good at languages in school – he even dropped German because it was too easy! – he describes not being able to speak Yoruba as his ‘greatest embarrassment’. He sees the language not just as a way to communicate, but as a means of reconnecting with Nigeria. Yoruba lessons might come in handy when this man has to wear agbada and dobale to beg for iyawo. If you’re Nigerian and over 25, you might know the ‘When will you marry?’ conversation very well. For Sope, it’s not just a conversation, he has a deadline. His grandmother has officially given him 18 months to produce a new Mrs Dirisu. She needs to be ‘presented’ by June 2018. He thinks he might buy even more time if he has met someone by that time, just to ‘prepare her mind for the pilgrimage to Ijebu Ode…’ Grandma sounds like she means business, so I’m not too sure about these procrastination tactics. Good luck trying to charm your way out of this one, sah! This man loves his family. Somehow, we always ended up talking about them – whether it was how much he enjoys visiting his dad’s mum who spoils him with food, or his mum being ‘the centrifugal point of the family’ and, of course, his ‘biggest inspiration’ – his dad. When I asked how his parents first reacted when he announced that he wanted to act, knowing fully well most Nigerian parents only know ‘doctor’, ‘lawyer’, ‘accountant’ or ‘disappointment’ as career options, he had the most amazing response. Sope had always been into acting, and studied theatre as one of his A Level subjects but knew drama school wasn’t really an option for a Naija kid. He went on to study Economics at the University of Birmingham and felt that was seen as ‘a step in the right direction’ but continued to perform in various shows which his family always attended. Still, they knew something wasn’t right so, one day, in their family kitchen, his mum asked him and they had the conversation where he came clean about his passion. Aren’t his parents #goals? For all Naija kids struggling to have that conversation with their parents, perhaps send them this link? Feel free to print out this article and highlight this section if need be. Good luck and I hope you make it out alive. He is SUCH a Yoruba man. SUCH. I thought we were pretty much done when the final plot twist in this conversation emerged. I was speaking to a very Ijebu man. VERY. Firstly, there was his love affair with food. Guess what his ideal meal is? If that isn’t as specifically Yoruba as they come, I don’t know what is. As if that wasn’t enough, he responded to my questions about how busy he is pretty emphatically. Because Ijebu people and money? Then, the final straw came and my assessment of this man as a classic Nigerian uncle in a 26-year-old man’s body was complete. He hit me with the Nollywood ending a la ‘To God be the Glory.’ When speaking about the variety of roles he’s played and what he has to look forward to, I got part prophesy, part prayer, all Naija modesty. There you have it, guys. I’ve done the research, consulted the board and we have all determined the man is… Not a demon. Hallelujah. If you’re interested in that marital deadline, start applying asap. He’s @SopeDirisu on Twitter and really likes ginger beer. You’re welcome.